During booking, all guests should state their expected arrival time, using the guest comments box. Guests who expect to arrive outside of the stated check-in times must contact the property directly as soon as possible. Contact details appear on the Booking Confirmation issued by this site. Our Family type Hotel is situated 100 meters from the Beach, Holland Casino, Cinema, Theatre and Promenade. Trams and busses to The Hague are just a minute walk from the hotel. All rooms have shower, toilet, color TV with remote control and radio. A breakfast buffet is served from 07:00 to 09:30 from Monday to Friday and between 09:00 and 10:30 on weekends. 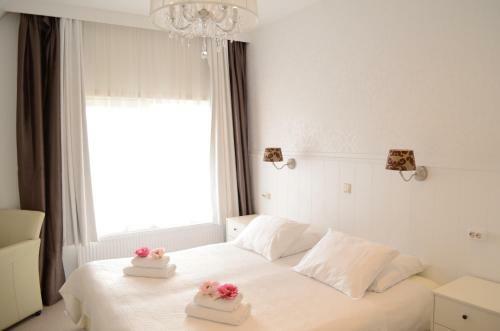 Hotel 't Witte Huis, Sint-Niklaas: See traveler reviews, candid photos, and great deals for Hotel 't Witte Huis at TripAdvisor.